Not the sharpest photo I have taken but the light was going down and the lioness was moving so that is my excuse! 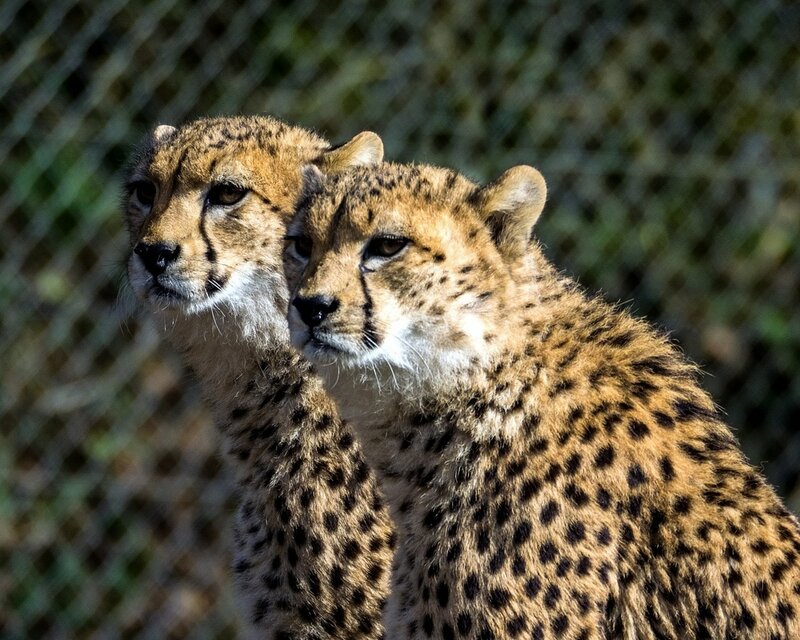 All my Kenya shots of Cheetahs were poor so I cheated and went to our local wildlife park. 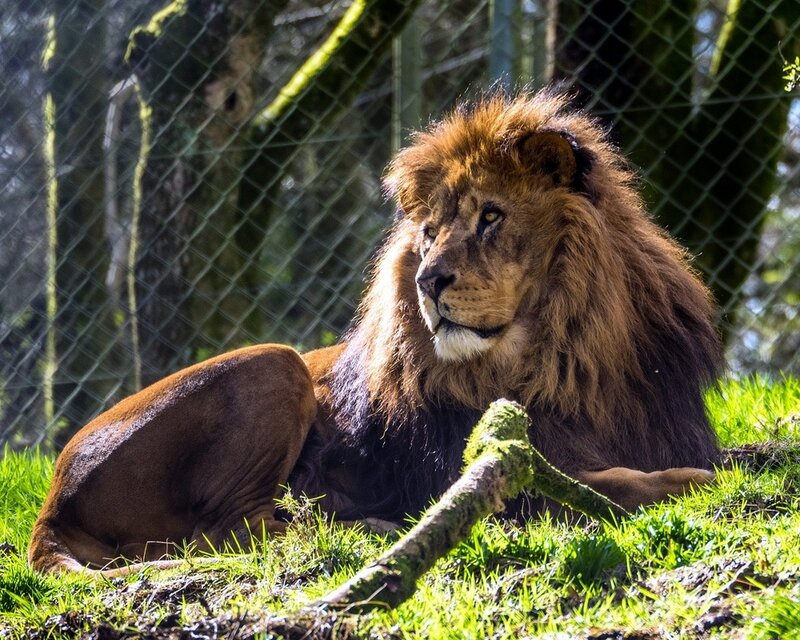 Taken at Dartmoor Wildlife Park near Plymouth. 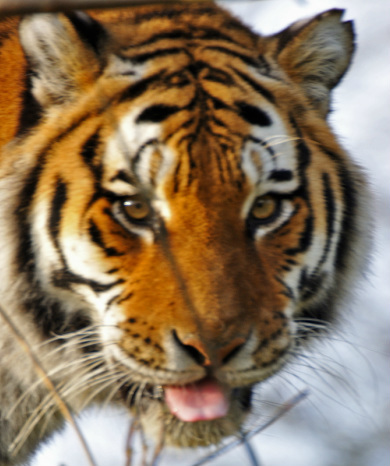 Unless you have a 500mm lens and above you are unlikely to get many great wildlife shots in the wild. 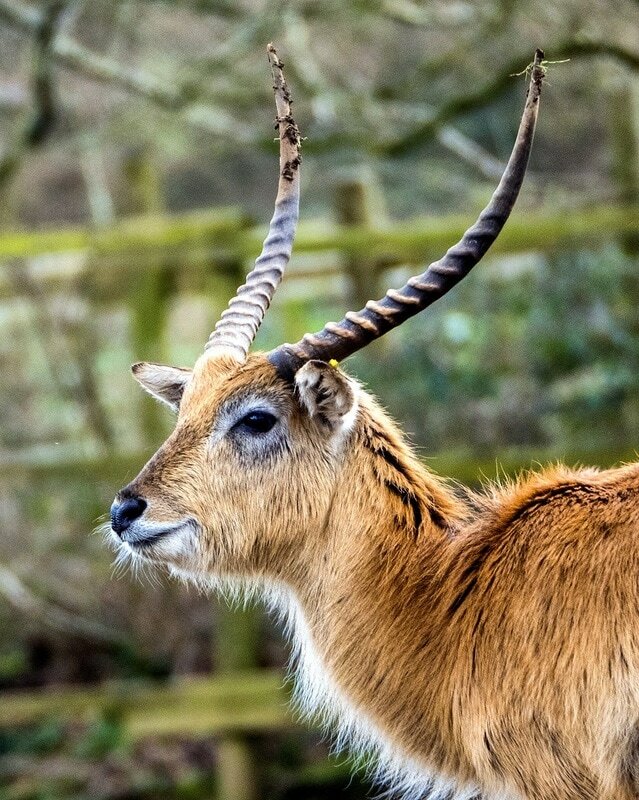 I like the way the gazelles reflect the zebra in this shot. A sparring match between two male wildebeest. This time the elephants are having a sparring match ! 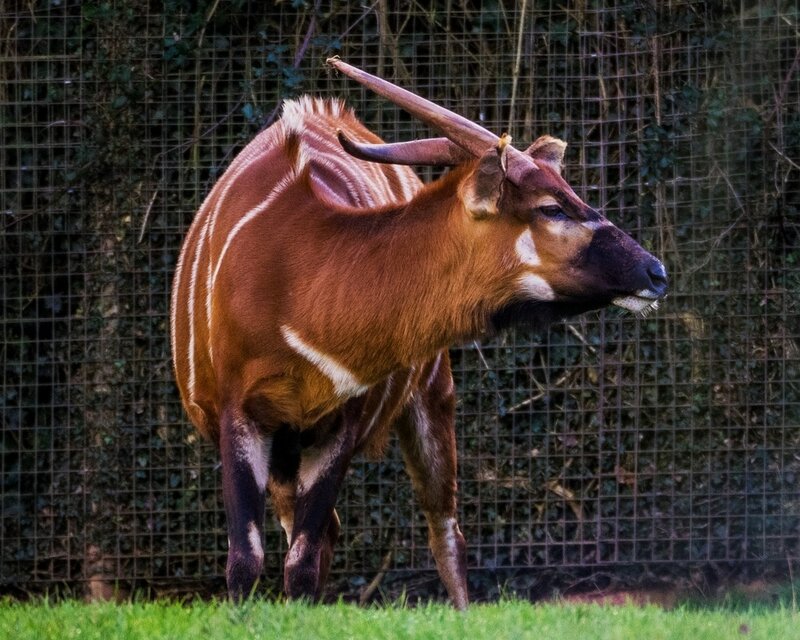 Close up of a Bongo antelope. If you look closely you can even see some teardrops. 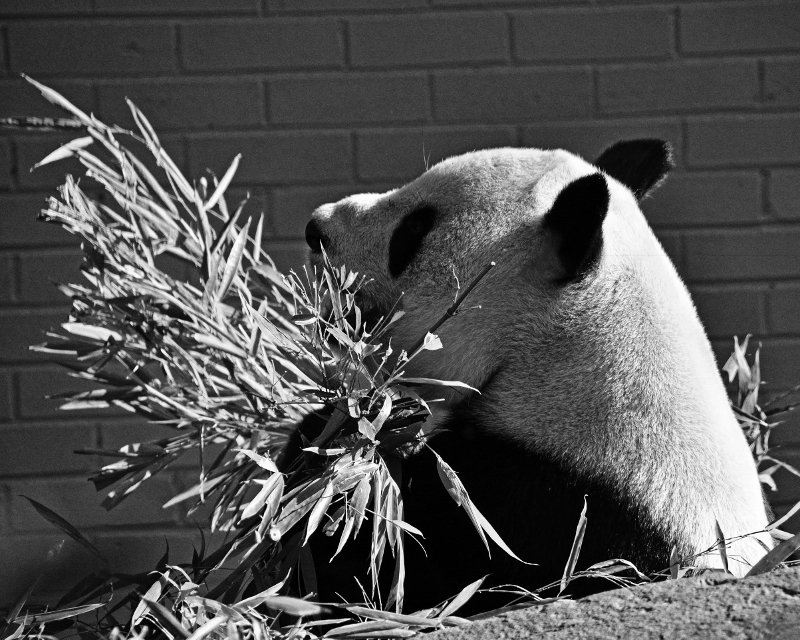 A giant panda munches contentedly on some bamboo. Just like the old joke: Eats, Shoots and Leaves. 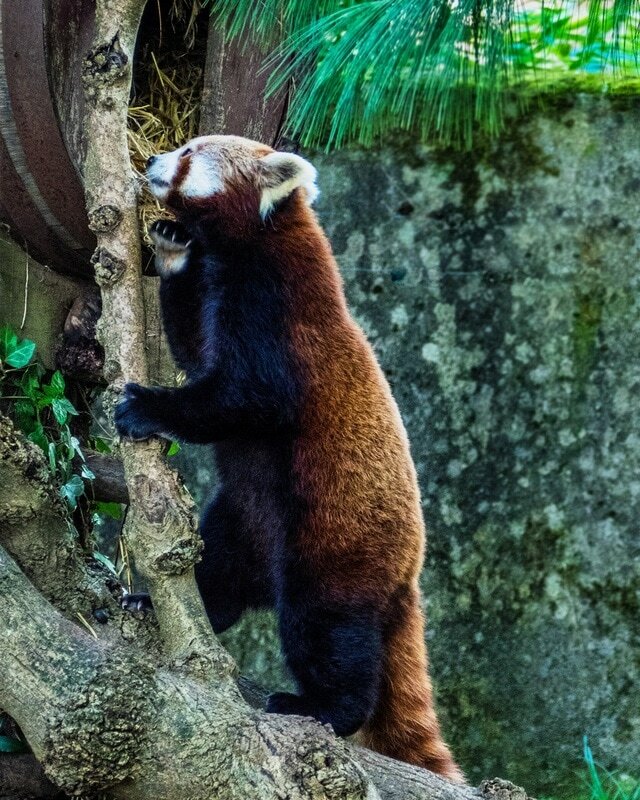 Not much Kung Foo here ! 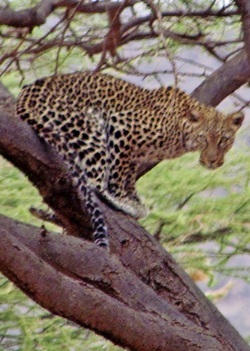 Photo taken from a video still of Ranthambore National Park. Another closer shot of Bramble the fox. Asian elephants are much smaller than their African cousins as they live in forests. Their ears are also smaller. 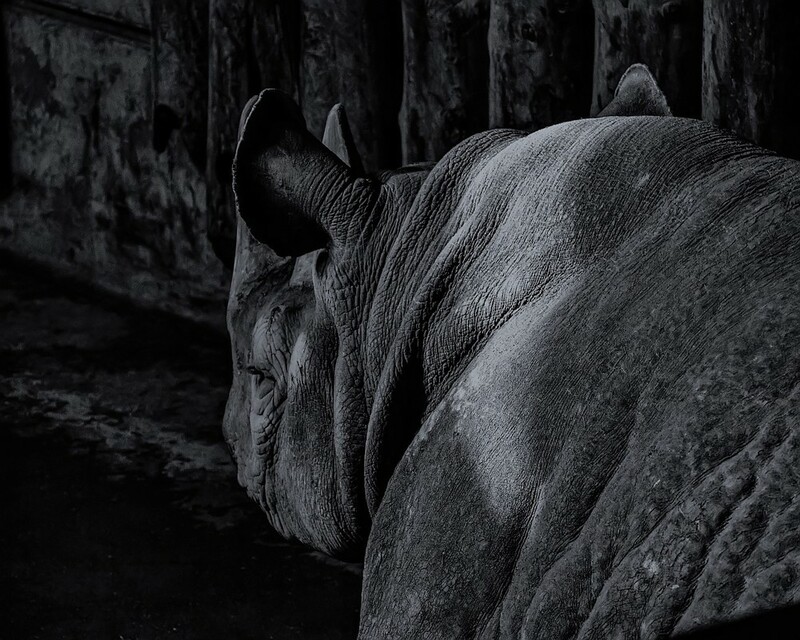 In Sri Lanka the males do not all have tusks, roughly only 10% of males grow tusks. 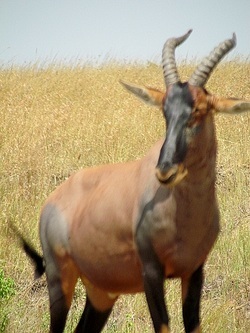 Like African elephants they like to get the dirt off their grass buy swinging it about or beating it on the ground. 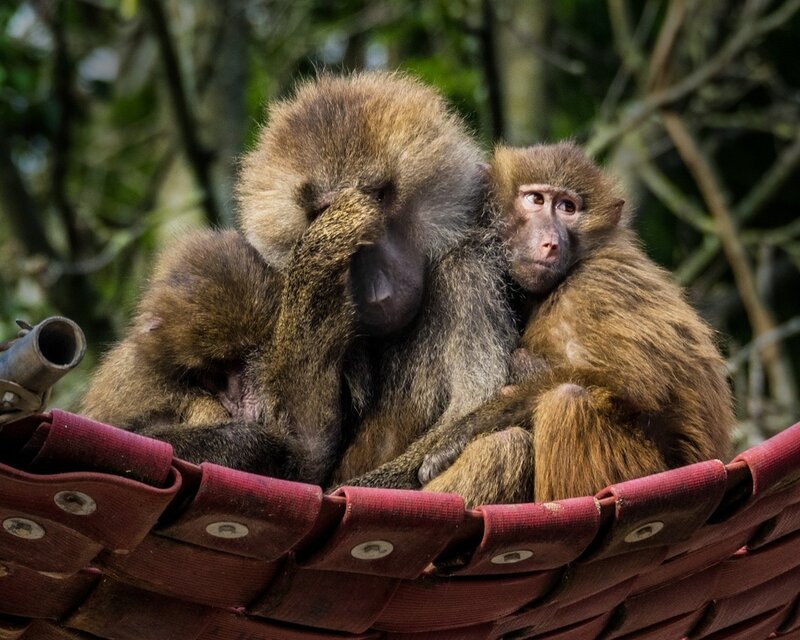 This group were photographed on a rainy afternoon in Minneriya National Park. I knew that elephants can swim and enjoy a bath, but this youngster just loved bathtime in the rain. He pulled some weed out of the lake and swung it back and forward onto his back. At one time he (tusks!) was completely submerged! We must have watched him for five minutes enjoying his treat. Here another group of elephants makes a rush to join the others in the water. The fisherman seems unperturbed, I'm not sure that I would want to be near so many running elephants. Elephants, especially males or nursing mothers, can be very unpredictable. Seconds later she got a bit upset and the jeeps made a quick exit. Apologies for so many elephant shots, but they were quite extraordinary. 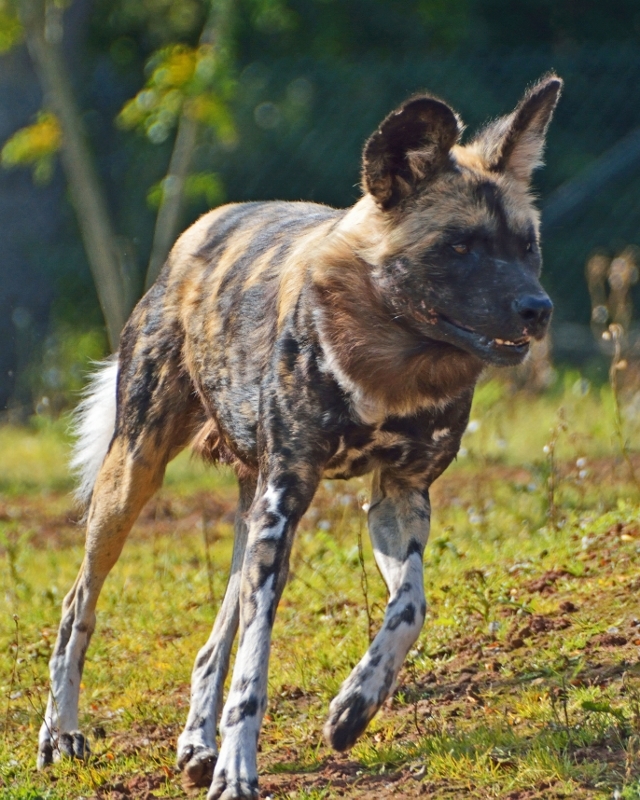 The colouring and even the eyes are different from the African variety. This is a nursing mother. 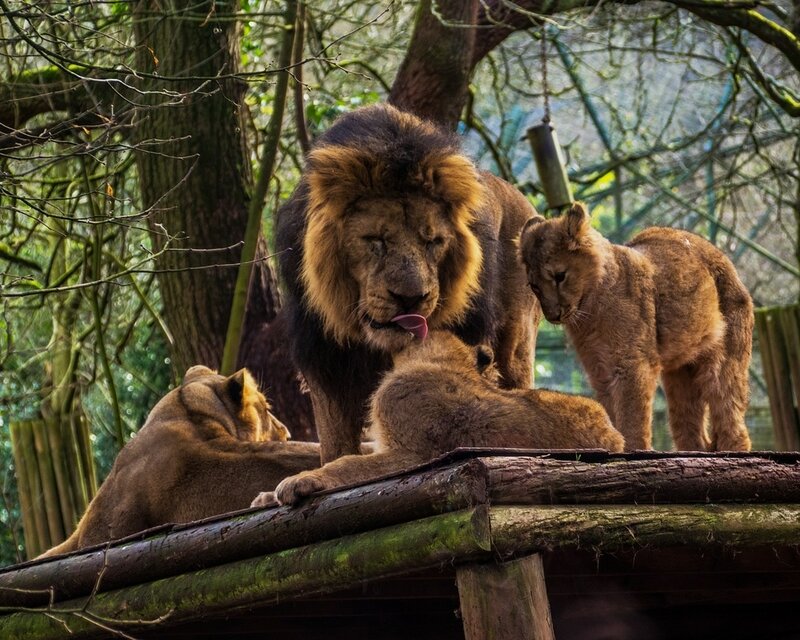 I like this shot of a small family group and the way the larger female is swaying to allow the baby to suckle. One of the greatest sights on earth is to see these magnificent creatures surfacing and diving. Unforgettable! 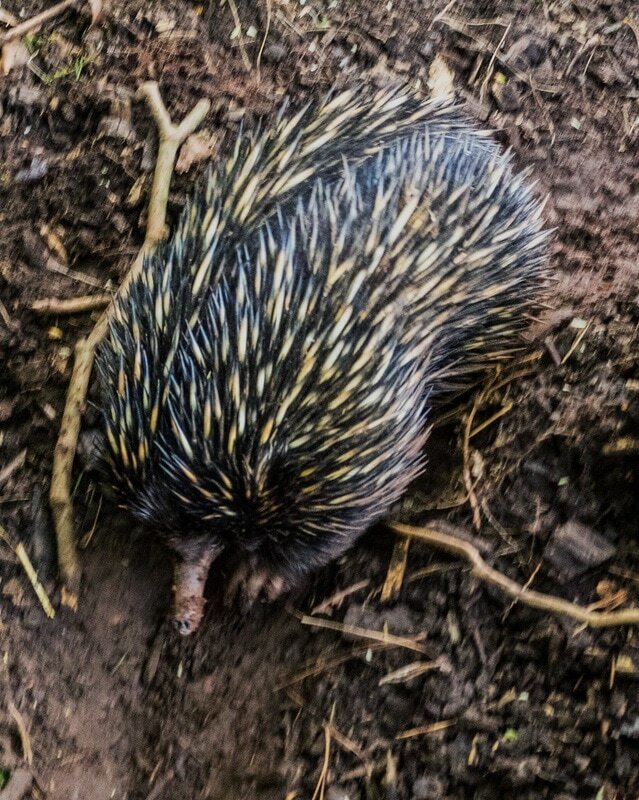 This one was about 200 metres away up in some trees. 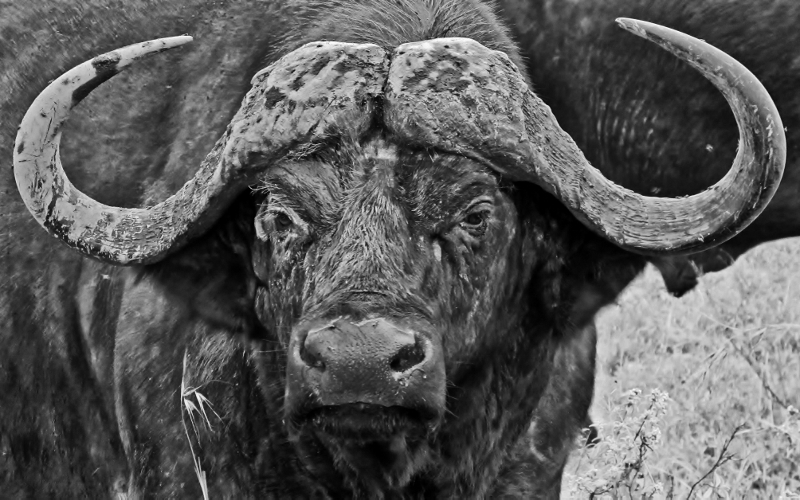 Even with a telephoto equivalent to 560mm, the photo still had to be hugely magnified to see it. Just as we were exiting Horton Plains, Sri Lanka, this Sambar stag suddenly loomed out of the mist at the exit. This cheeky chipmunk was treating himself to leftovers at a tea shop in Sri Lanka hill country. 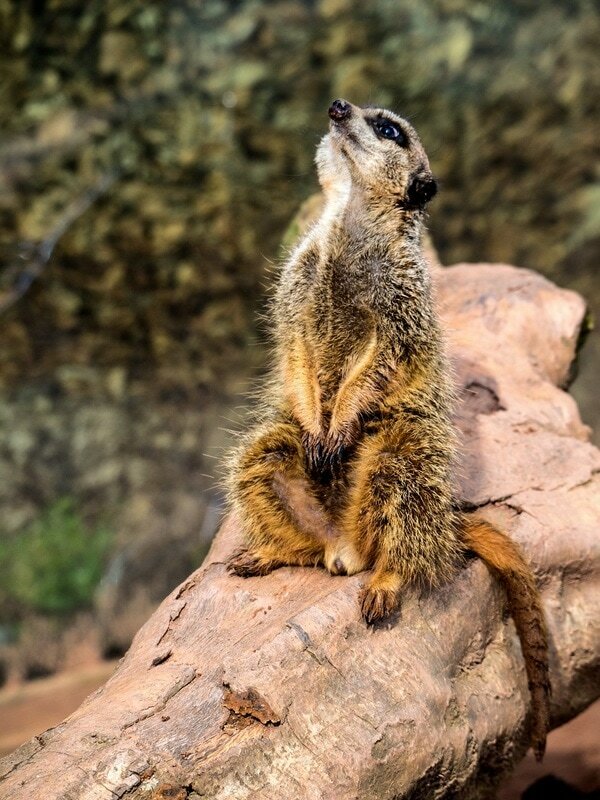 Sometimes it is the small animals that have the greatest character. 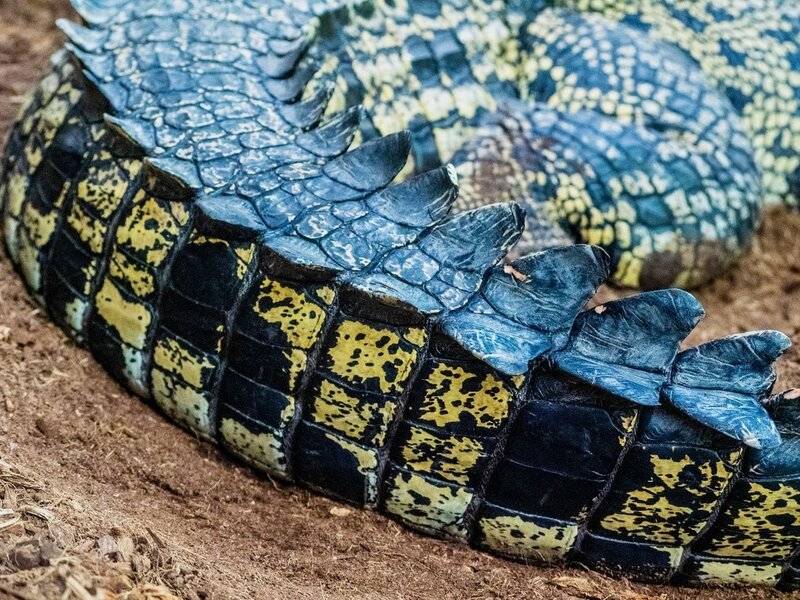 Straight out of "Jurassic Park", the land monitor is a common sight in the Sri Lanka undergrowth. This buffalo really seems to be enjoying his soak in a lake. A welcome relief from insects and the sun, no doubt. This is one reason why you don't want to go into the water, abroad! This one was about 5 or 6 metres long. This little baby elephant lost his rear leg and is cared for in the Uda Walawe Elephant Transit Home. He gets preferential treatment and is fed before the others. Lovely picture isn't it with all that colour? Until you see the chains on the elephant. This elephant has most likely been taken from the wild as a youngster, maybe it's mother killed. Then its spirit is broken by cruelty until it is docile. This is the reason why you should NOT encourage this business. 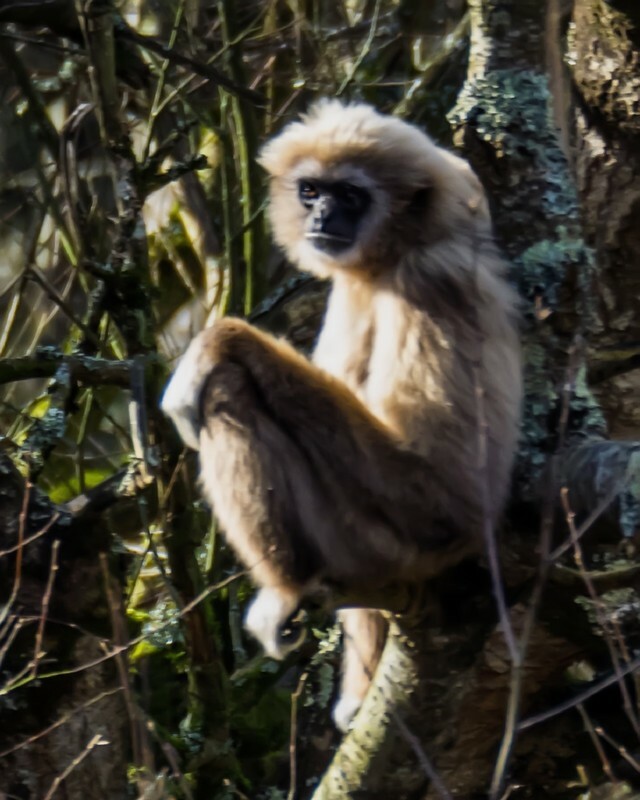 This solitary macaque was sitting at the viewpoint at Horton Plains waiting for handouts from tourists. Monkeys aren't dumb! A wild board at a waterhole in Sri Lanka. We watched this juvenile elephant for about five minutes having fun with this large branch. He had great fun, but in the end didn't really know what he should do with it ! 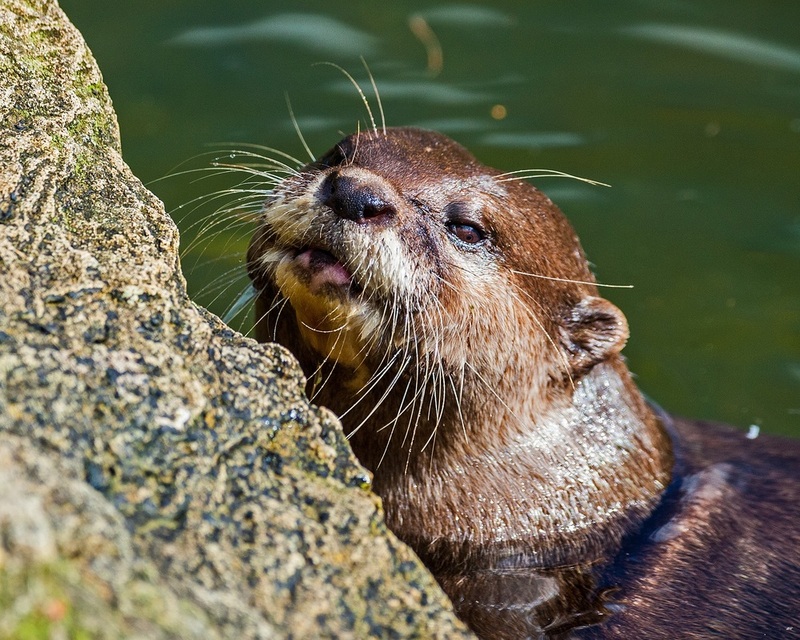 LET SLEEPING OTTERS LIE ! American River Otters lie sleeping at Slimbridge Wetlands Centre near Bristol. 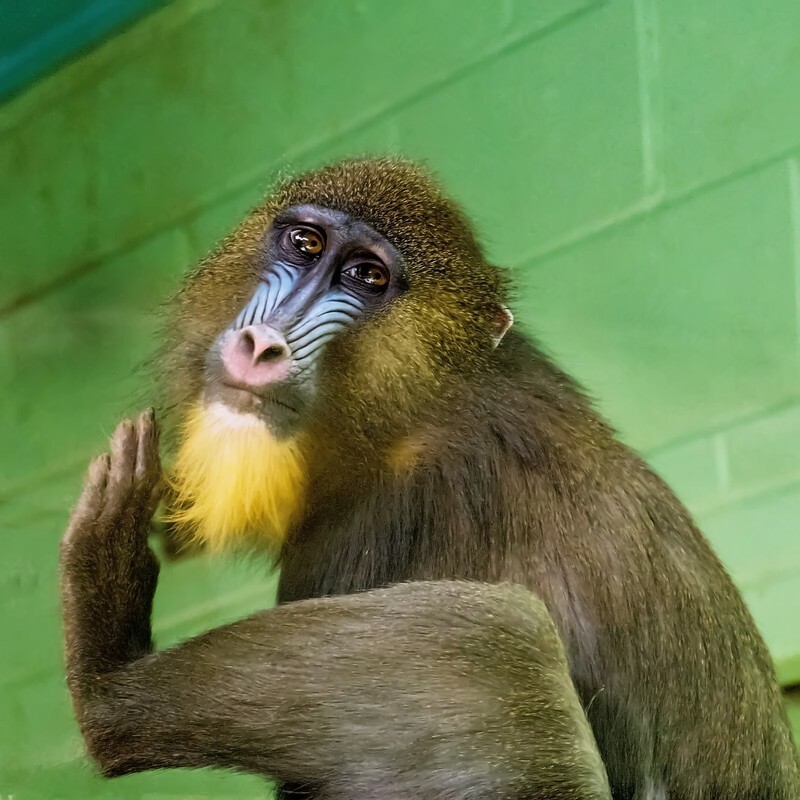 Portrait of a Vervet Monkey taken at Dartmoor Zoo. The Agouti is a large South American rodent about the size of a cat. They must have very large mousetraps there! 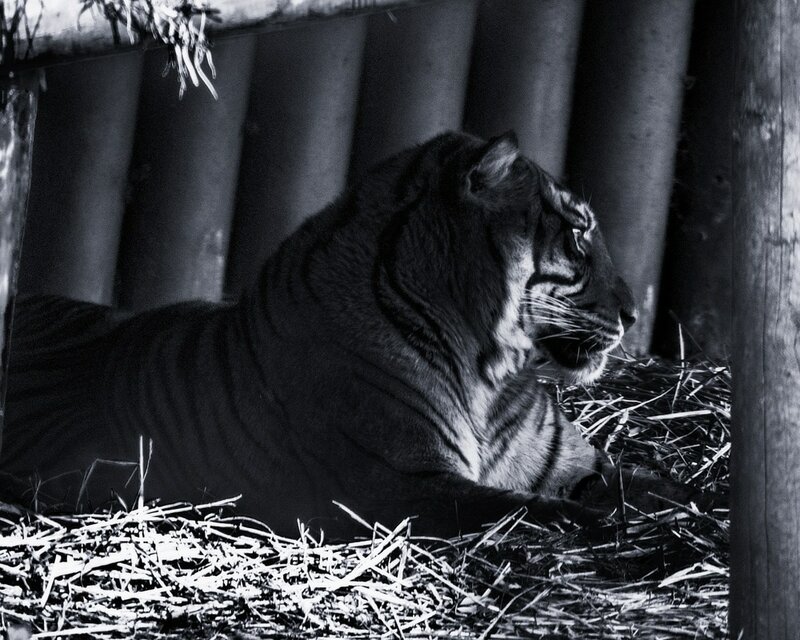 Photographed at Dartmoor Zoo. 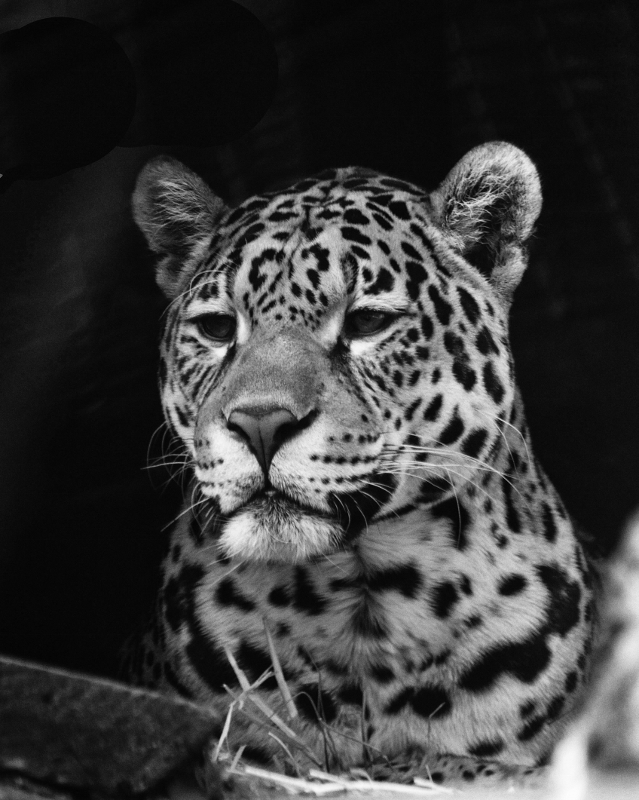 Sovereign the Jaguar is probably my favourite animal at Dartmoor Zoo. I never tire of taking his photograph. Here he was just lying down enjoying the spring sunshine. Kangaroos and Wallabies are not the most exciting of animals, but have their own quiet charm. 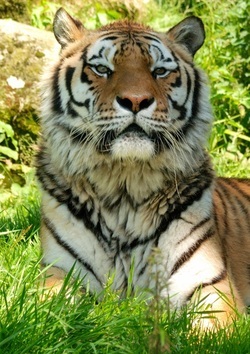 Photographed at Dartmoor Zoo. An underwater shot of a Fur Seal taken through glass. 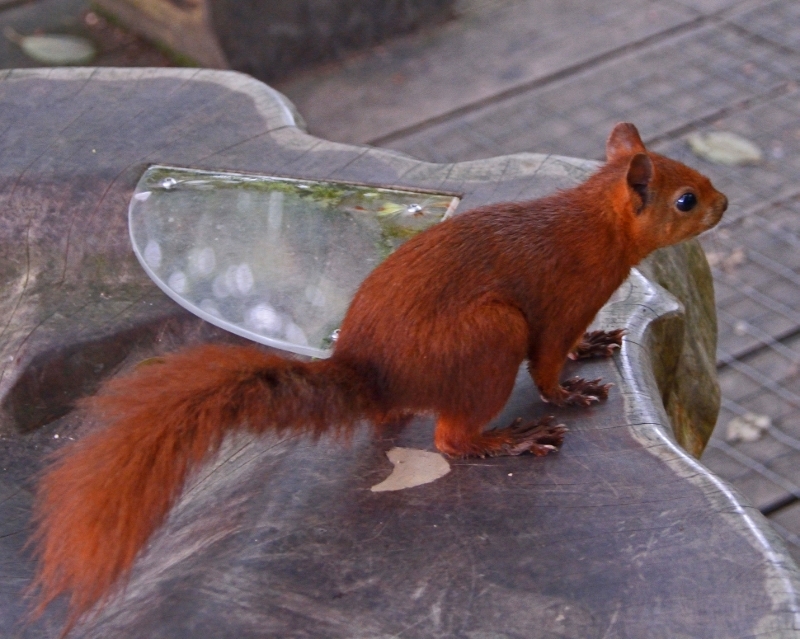 A Red Squirrel pokes its head out of a nest box. 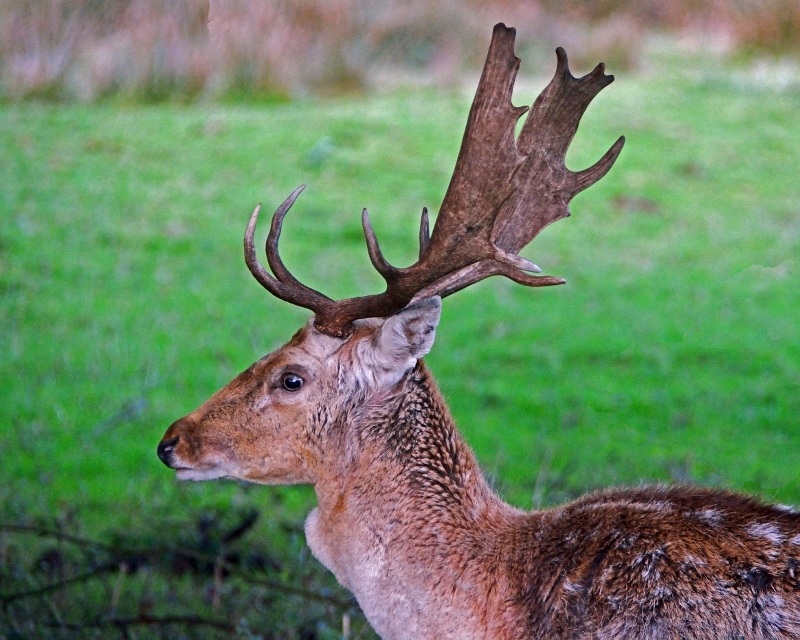 This lovely animal was photographed at Escot Castle, Devon. 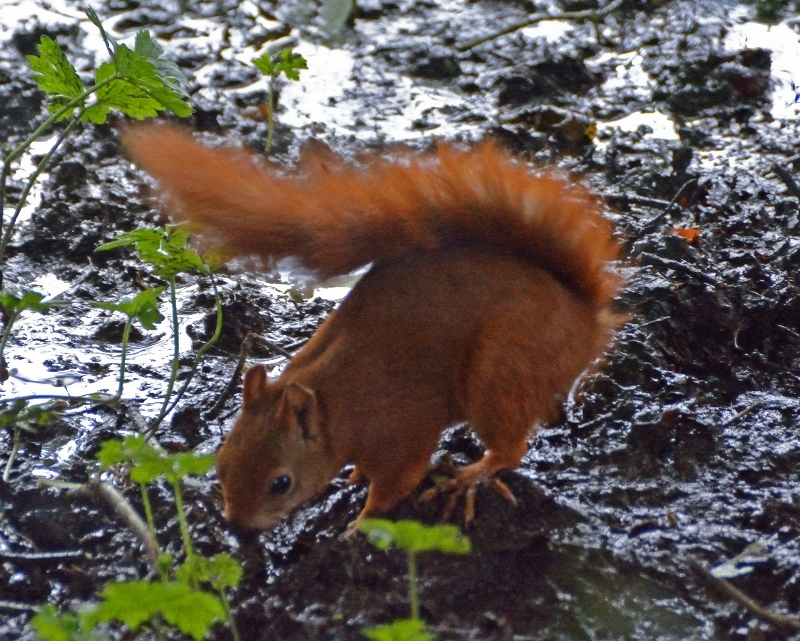 RED SQUIRREL#Another Red Squirrel at Escot Castle. 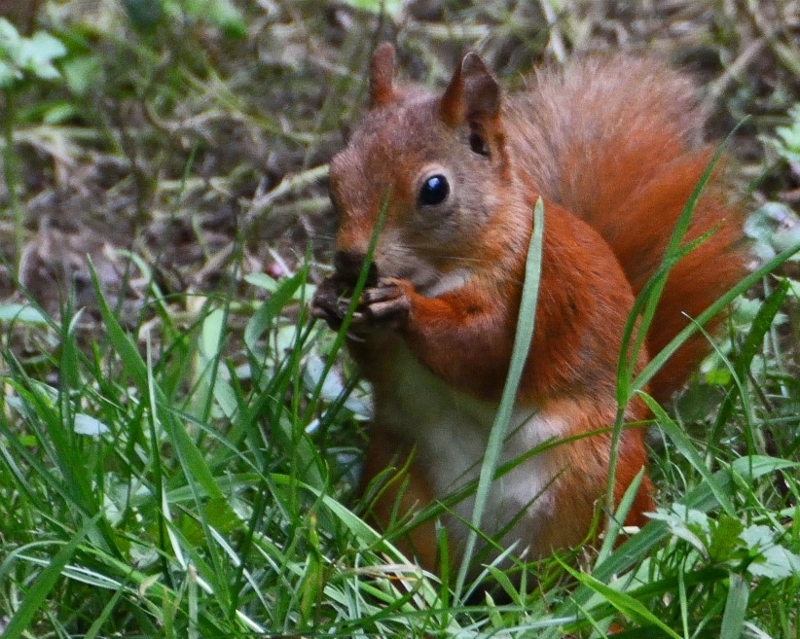 The red Squirrel is under threat from the larger American Grey Squirrel but some pockets still survive in Britain. 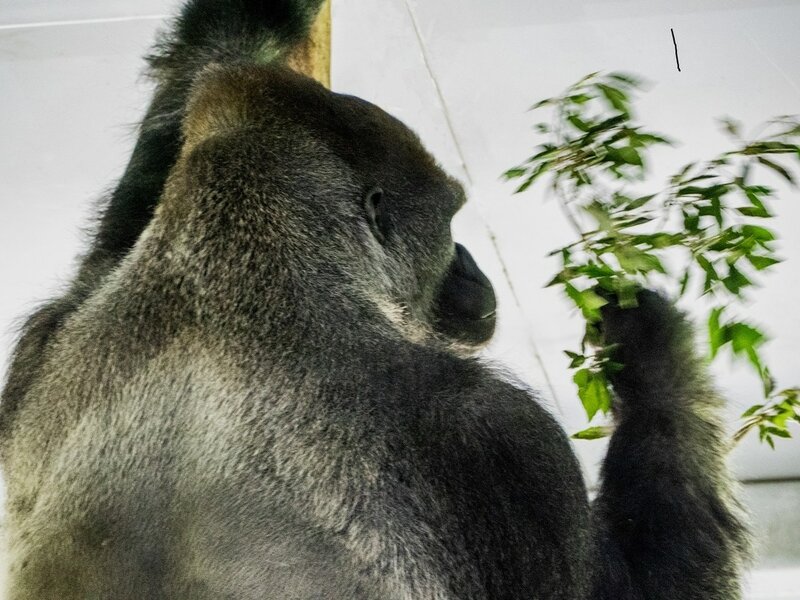 Lighting in the ape house at Paignton zoo was difficult with the ape against a bright window. This is the best I could do. 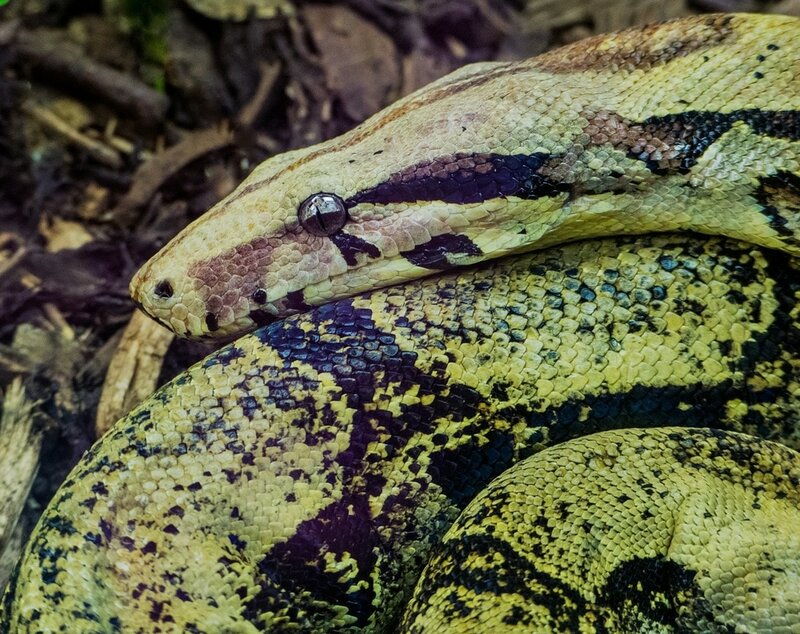 I liked the look of curiosity on this female's face. This is the male Orangutan in Paignton Zoo. A proud daddy as they have just produced a new baby. Portrait of a Black Rhinoceros at Paignton Zoo. 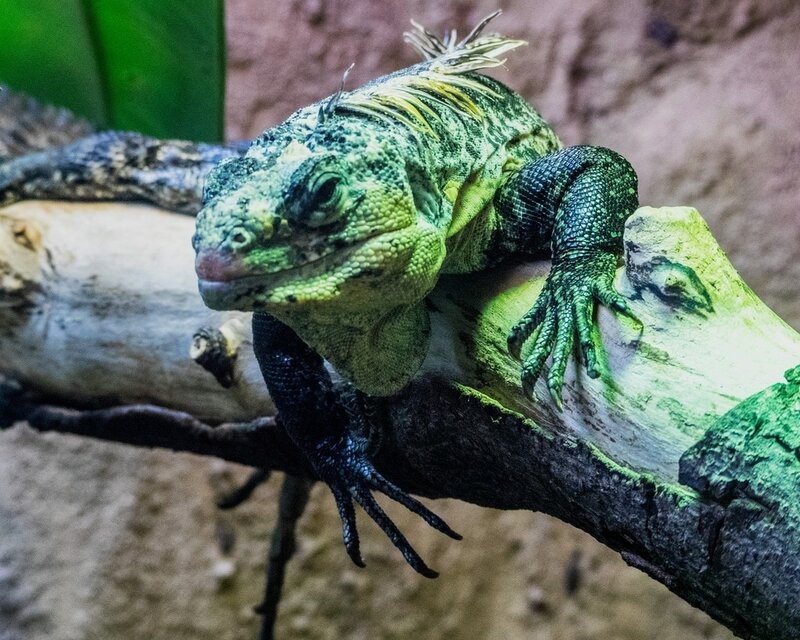 Interesting scale patterns on a Monitor Lizard at Paignton Zoo. 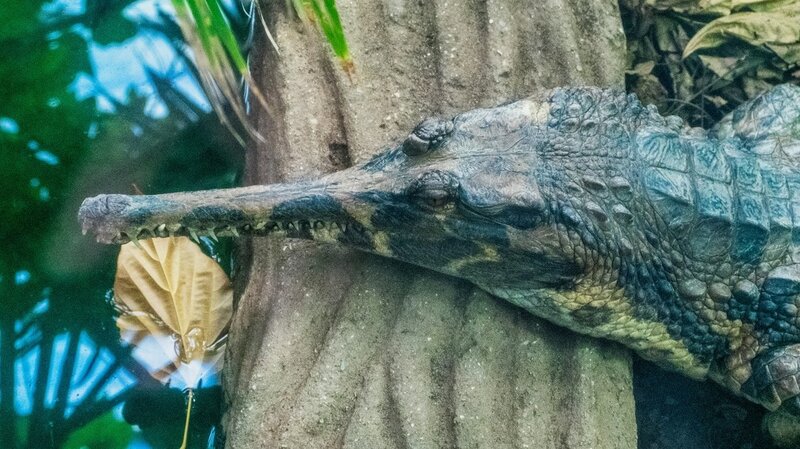 Crocodiles have been around for millions of years since the end of the age of the dinosaurs. 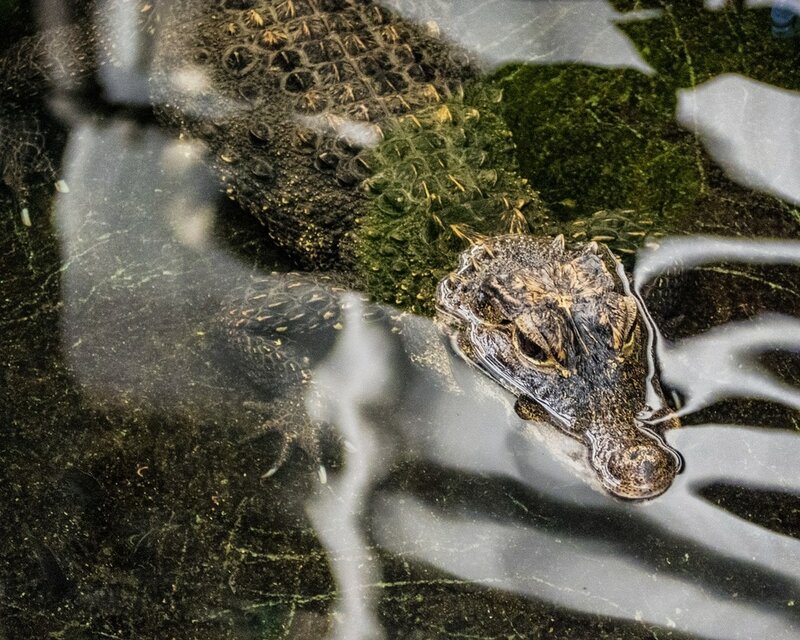 Unfortunately due to destruction of habitat several species are under threat, including the Cuban Crocodile. Close up of a Giant Tortoise at Paignton Zoo. These little Chameleons were in the reptile nursery at Paignton Zoo. 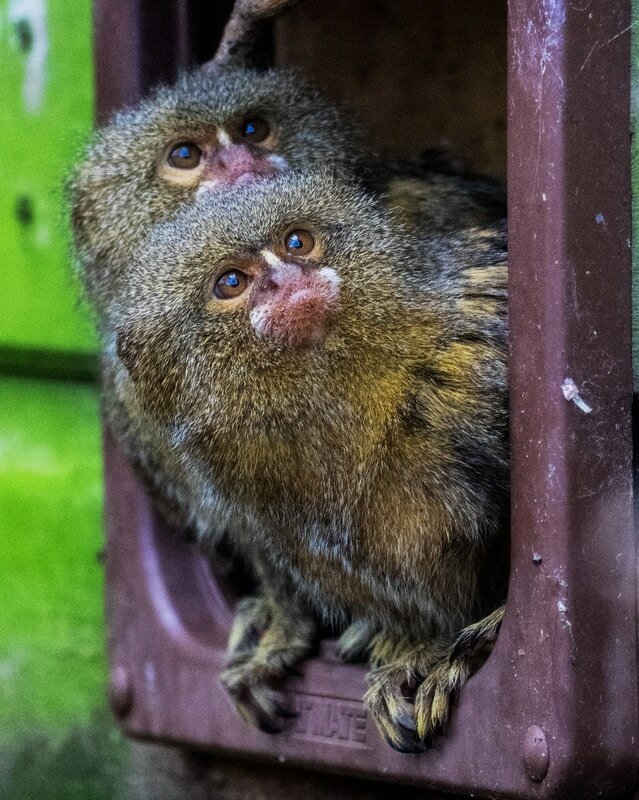 Delightful little creatures with their swivel eyes. 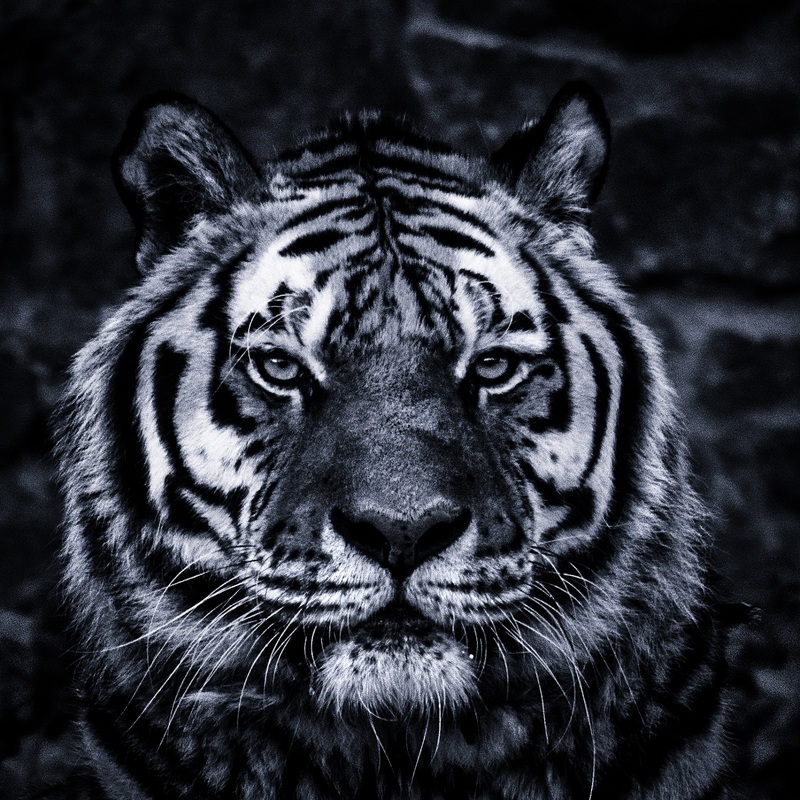 There is something about the look of the Sumatran Tiger at Paignton Zoo that reminds me of the Jungle Book character Shere Khan. A visit to the National Maritime Aquarium in Plymouth resulted in a few photos. 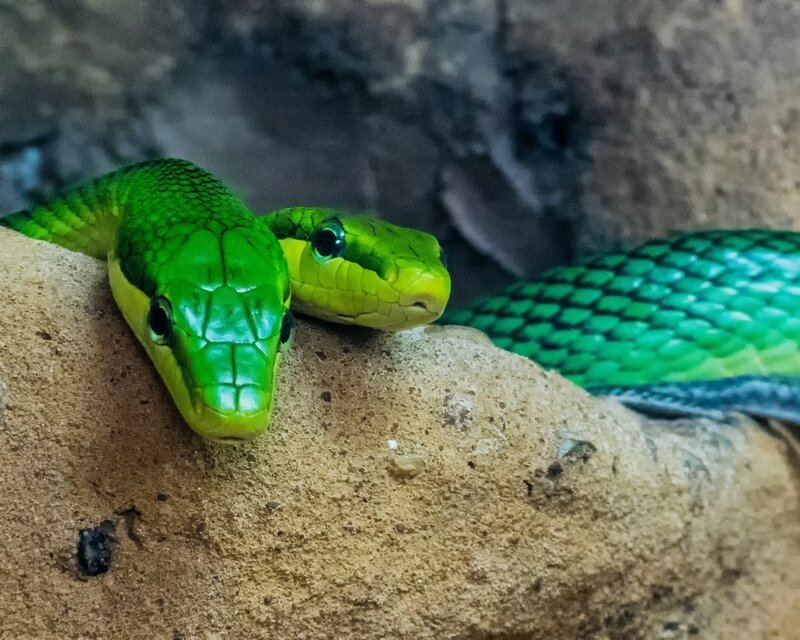 Unfortunately, it is difficult to get good sharp photos in an aquarium without using flash due to the combination of movement and low light. This is one of many colourful reef fish there. This tank contains several predators including sharks and rays. Luckily there is a thick sheet of glass between myself and this shark ! Quite a difficult shot as the lights were shining down at me, so I had to wait until the shark swam in between. Turtles always look so graceful underwater. They appear to glide and fly through the water. JUST LET ME SNOOZE ! This slow worm suddenly appeared on the path in front of us at Paignton Zoo. It is mis-named as it is a legless lizard, not a worm. 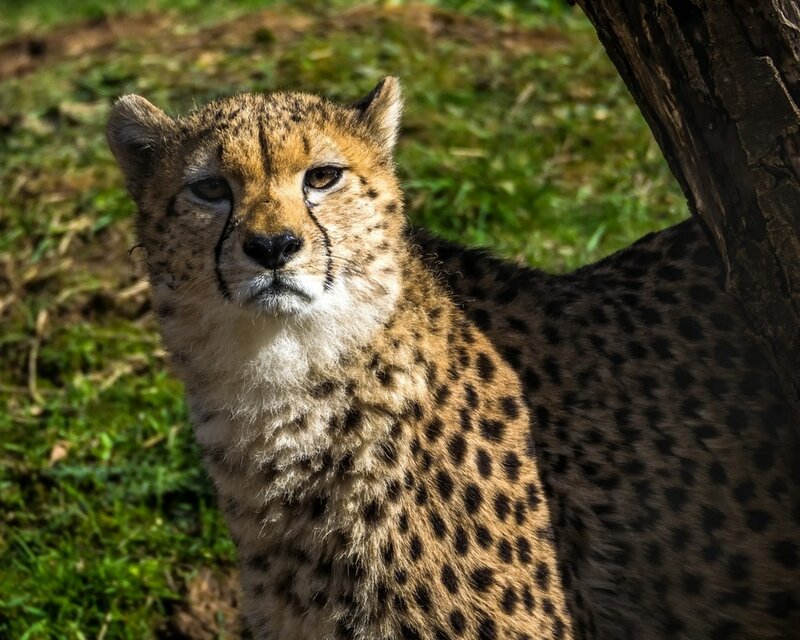 Study of a cheetah at Paignton Zoo. A couple of SQUIRREL photos taken at Escot Park near Honiton, Devon, UK. A group of Asian Elephants and babies at Minneriya National Park, Sri Lanka. 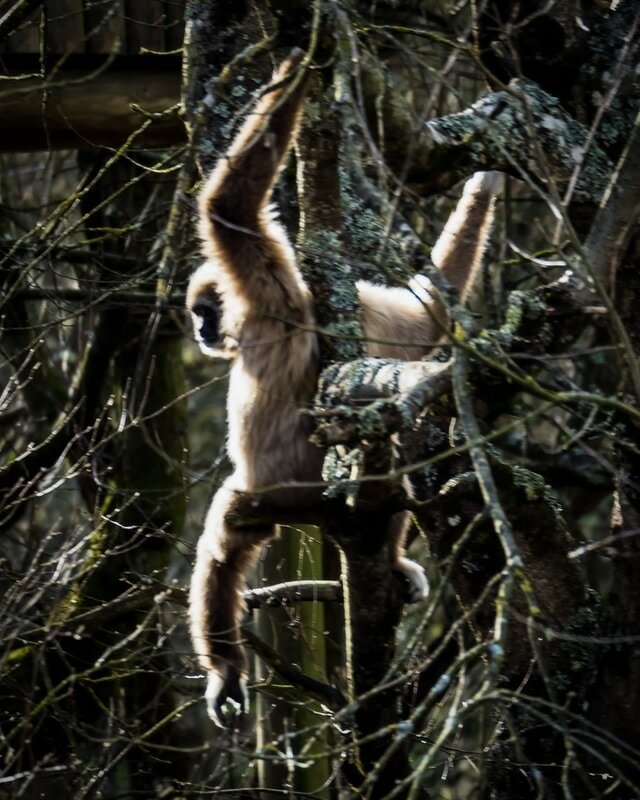 The less common Grey Gibbon photographed at Paignton Zoo where it keeps the Orangutangs company. 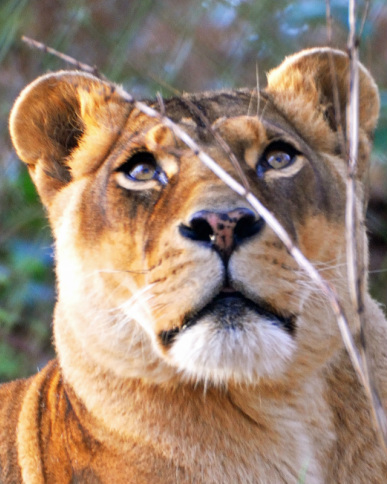 A lioness at Paignton Zoo is tormented by flies. 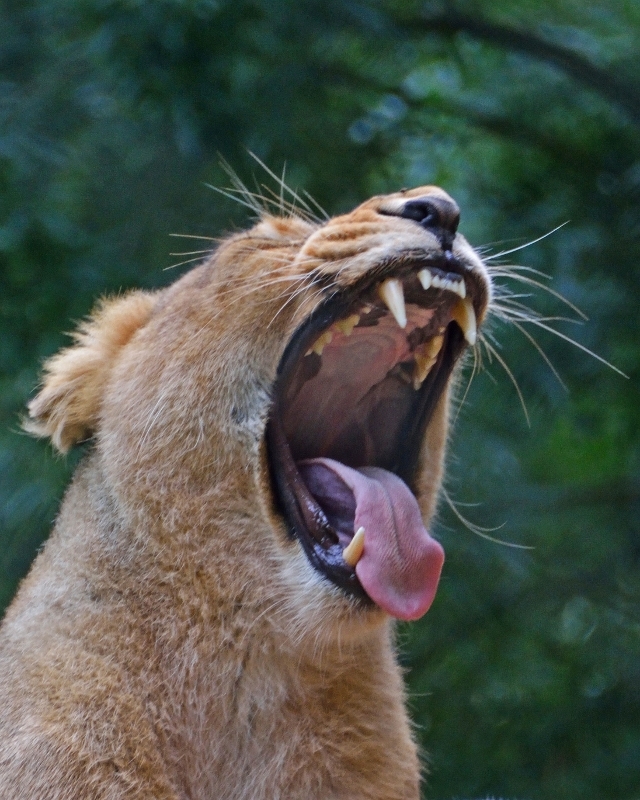 A yawn. 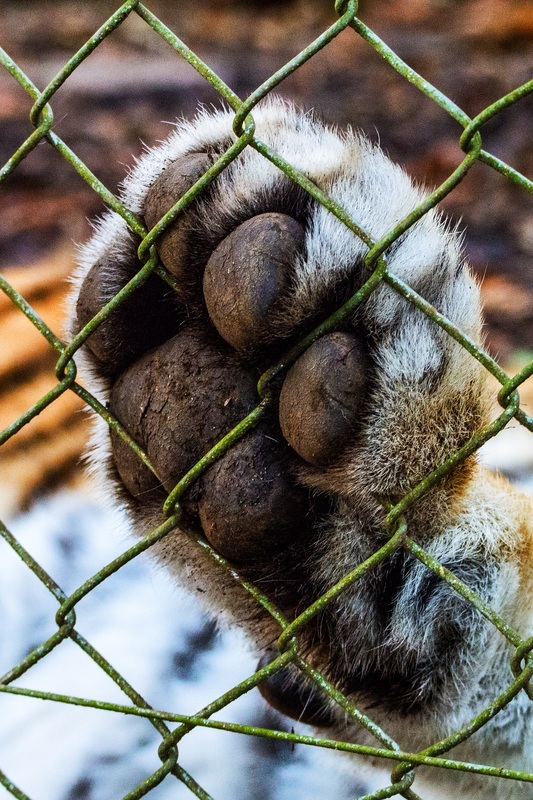 It is boring being kept in an enclosure. 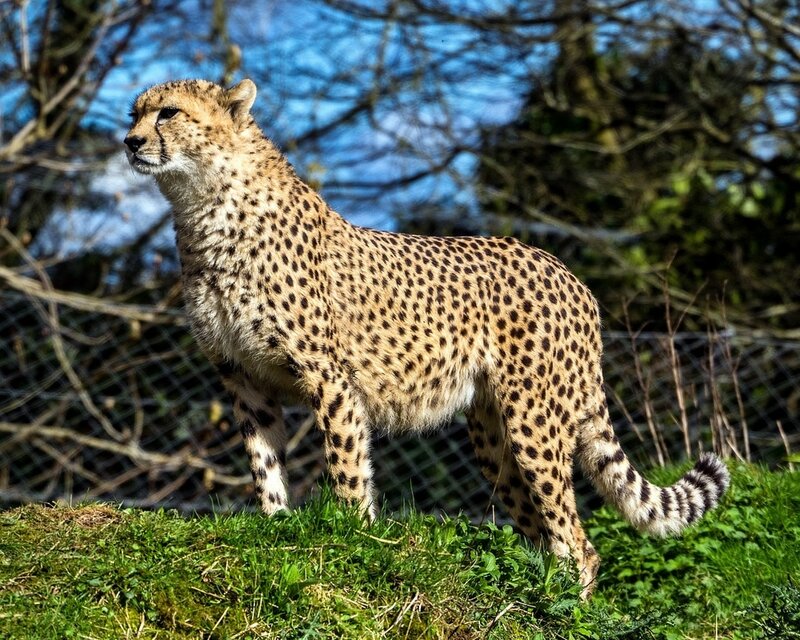 A cheetah prowls its enclosure at Paignton Zoo. 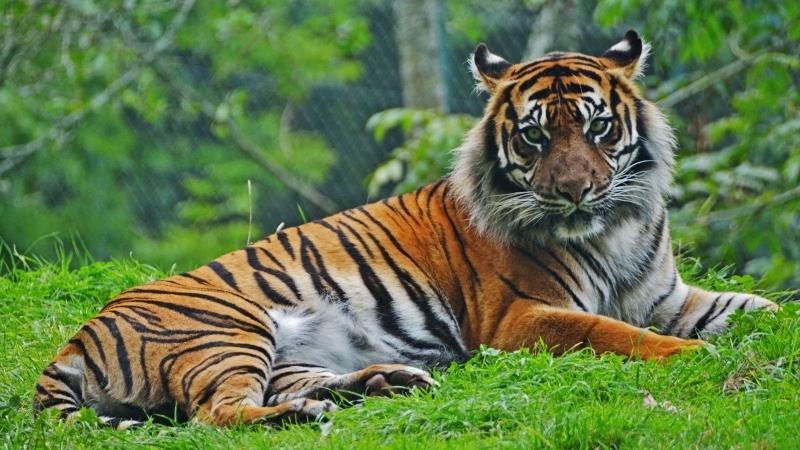 A Sumatran Tiger poses for the camera at Paignton Zoo. 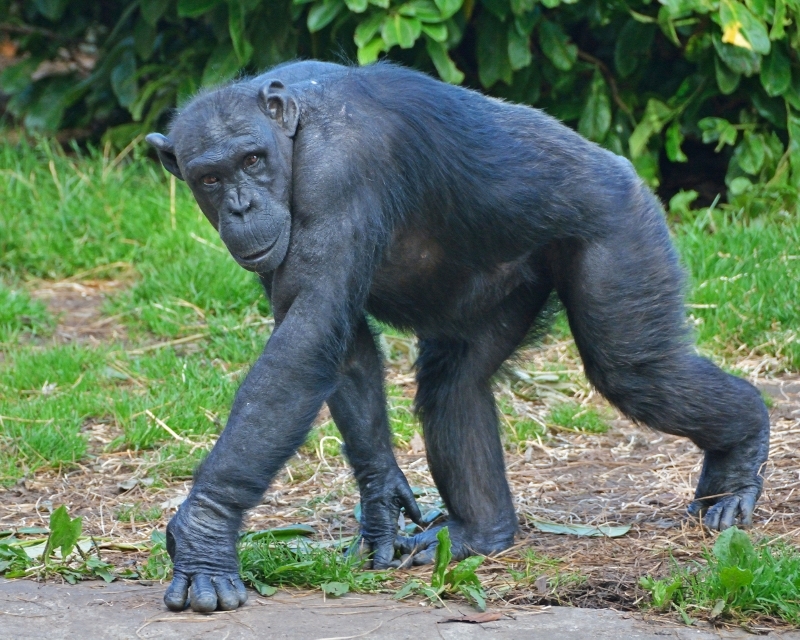 A chimp at Chester Zoo is caught mid-stride. 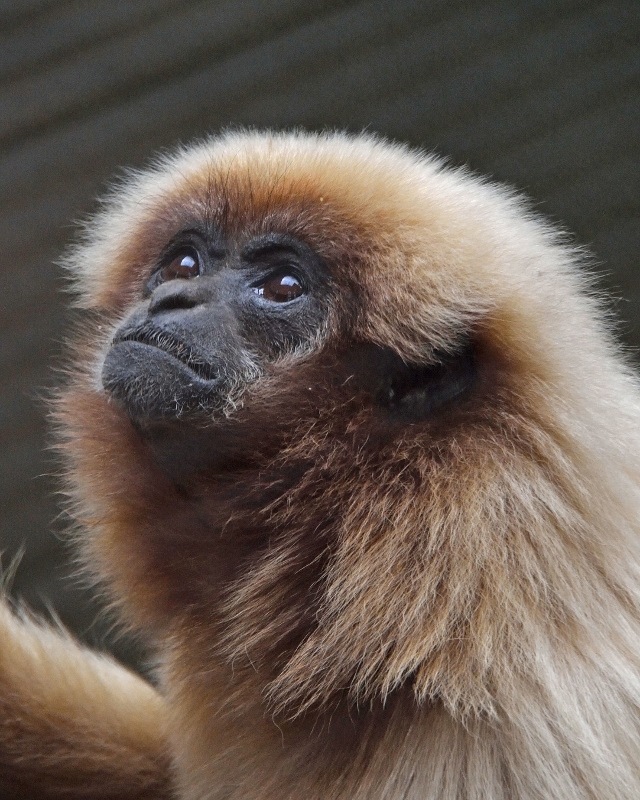 A pensive Lar Gibbon at Chester Zoo. 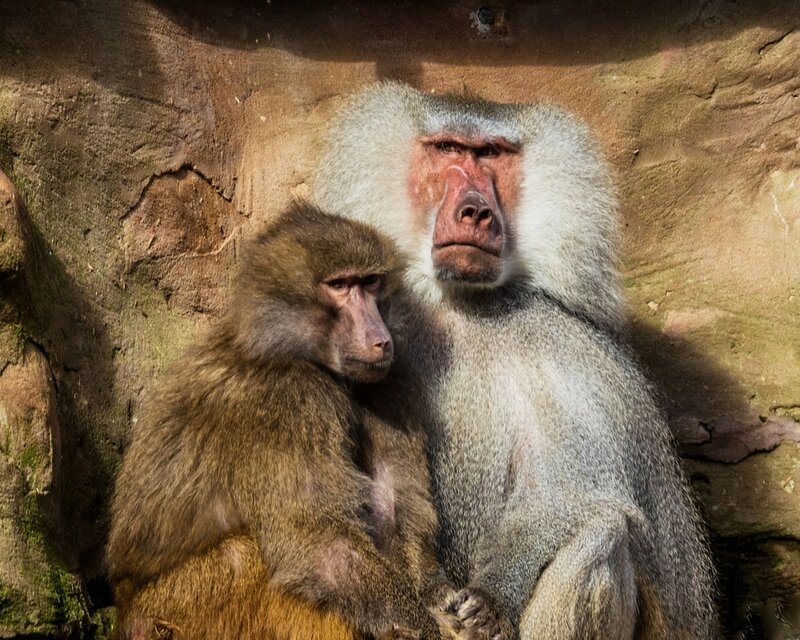 There are not many of these animals in zoos, so I was delighted to see them in Chester Zoo. This one was running from the pack because of some misbehaviour. Black Jaguars are also pretty rare. This one is just coming out of her shelter. 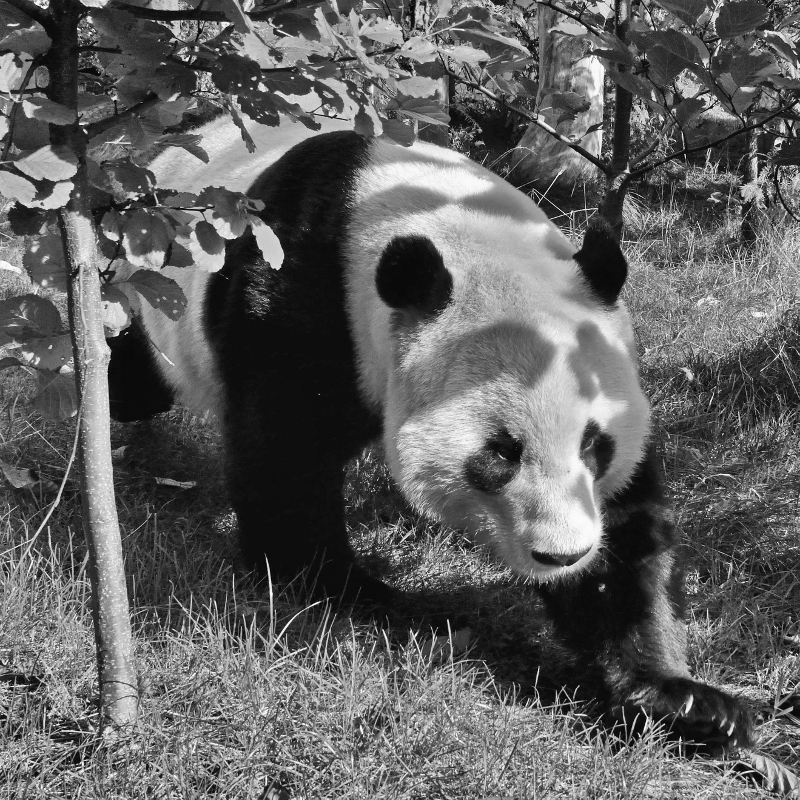 Pandas are pretty boring creatures, they mostly sleep and eat. However, they are rare and cute. WE ALL HAVE BAD DAYS ! 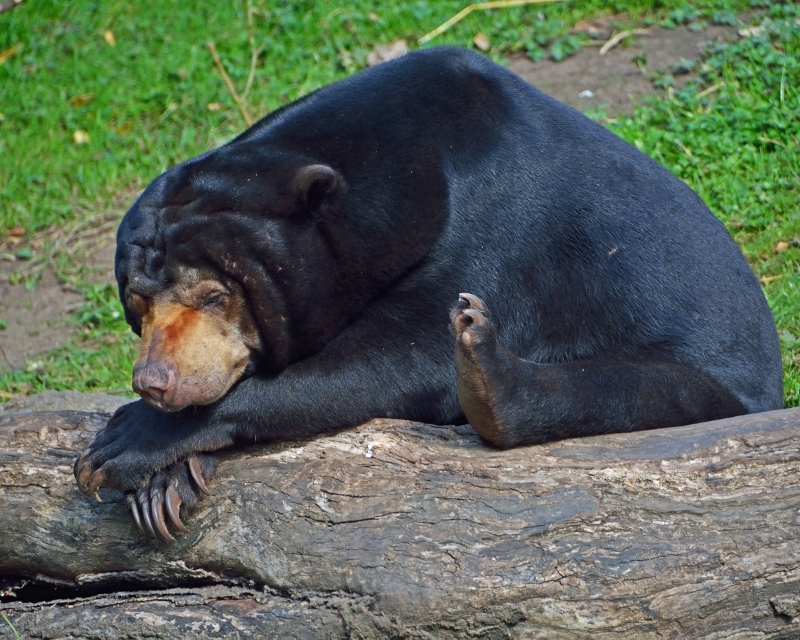 This sun bear looks a bit fed-up but it was just relaxing in the sun. 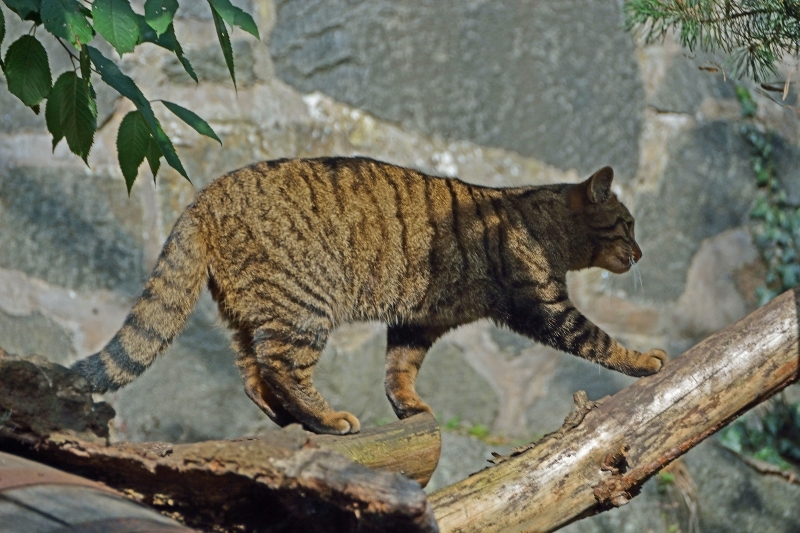 Scottish Wildcats are becoming rarer and some are breeding with feral domestic cats. They can really only be distinguished by a thick tail. 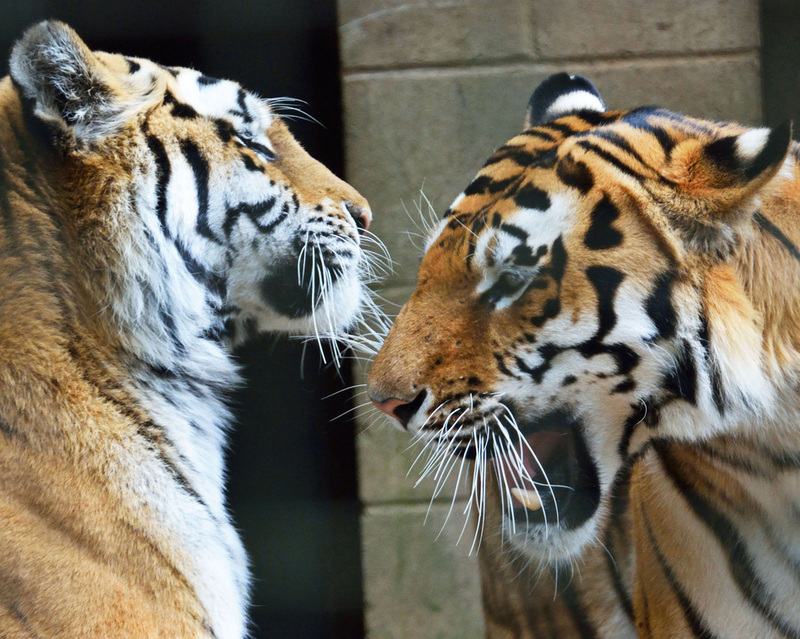 A tigress puts her cub in order at Whipsnade zoo. 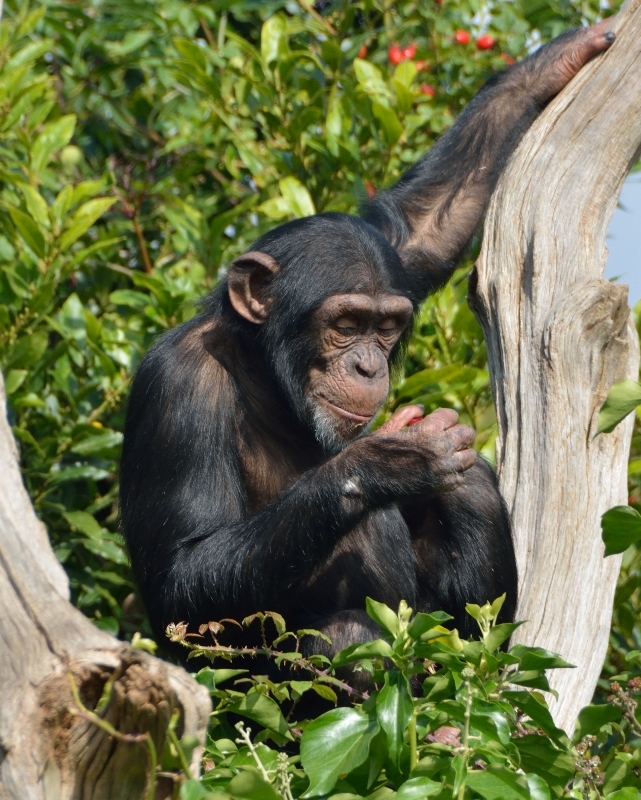 A Chimpanzee enjoys the fruits of a raid on a nearby bush at Chester Zoo. 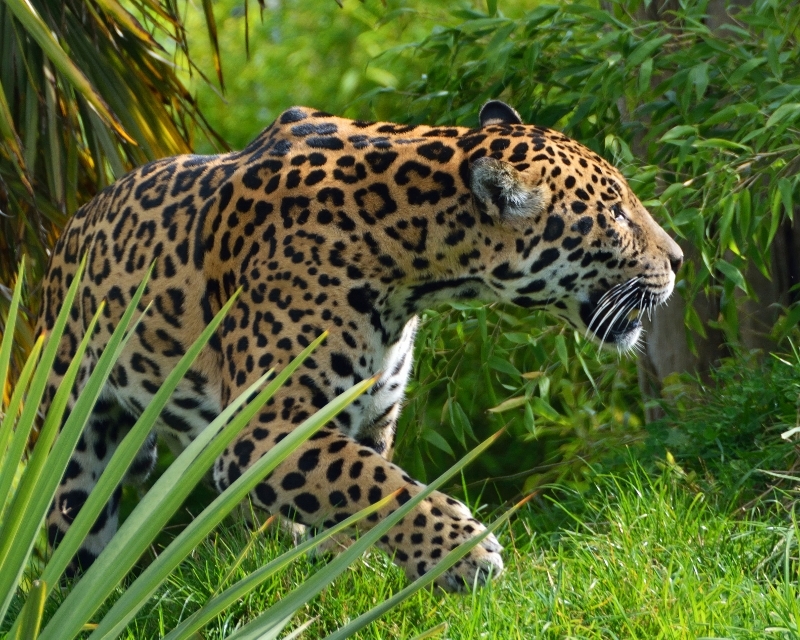 My favourite animal, the third largest cat in the world, a Jaguar, prowls its enclosure at Chester Zoo searching for meat the keeper has hidden. 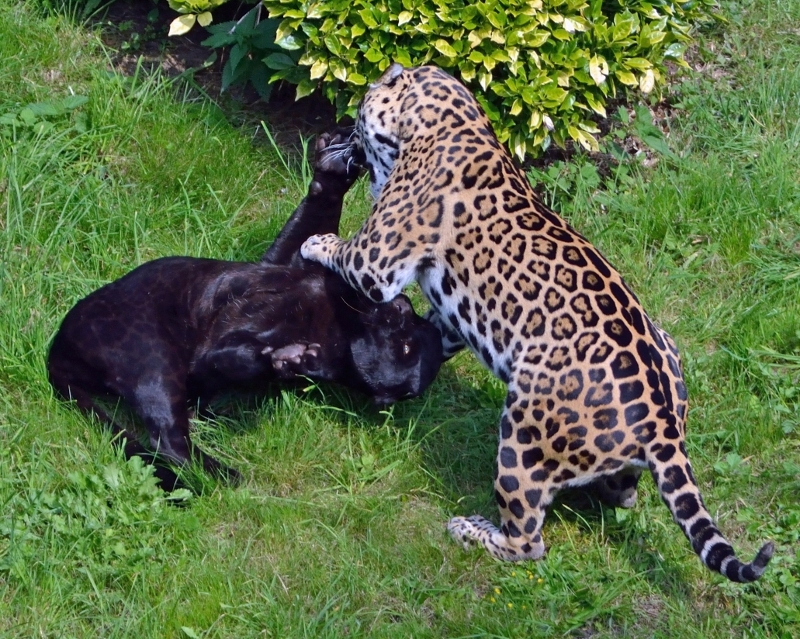 Two Jaguars at Chester Zoo have a minor scuffle. 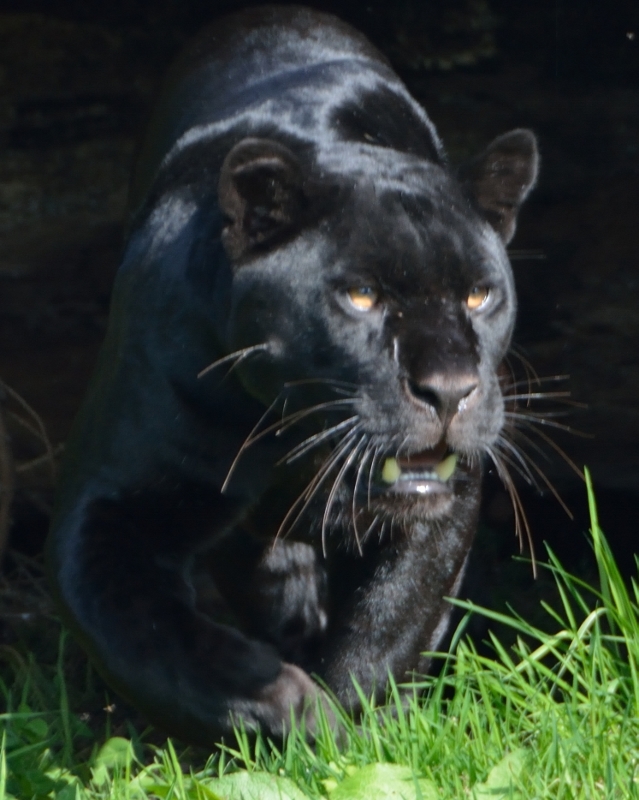 Black Jaguars (Black Panthers) still have spots, they are just difficult to see. 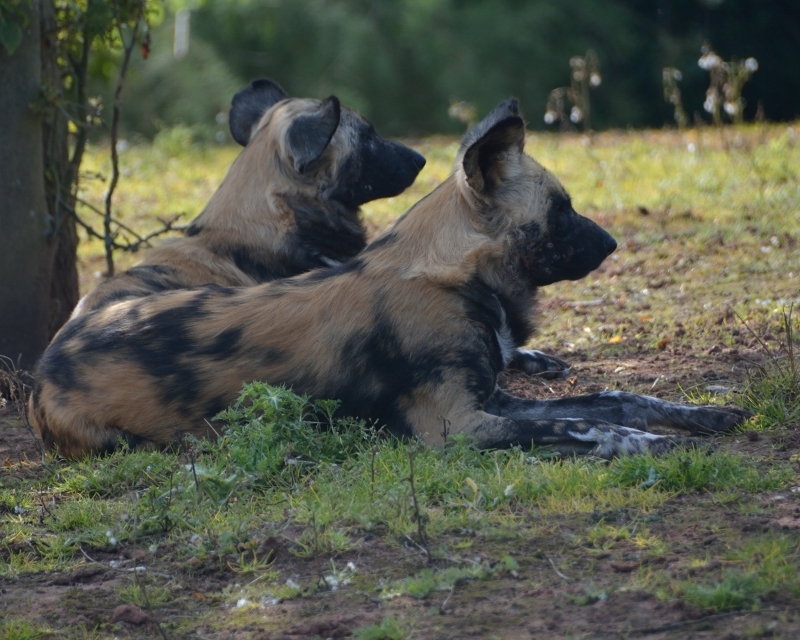 A pair of African Hunting Dogs (Painted Dogs) rest in the shade of a tree at Chester Zoo. 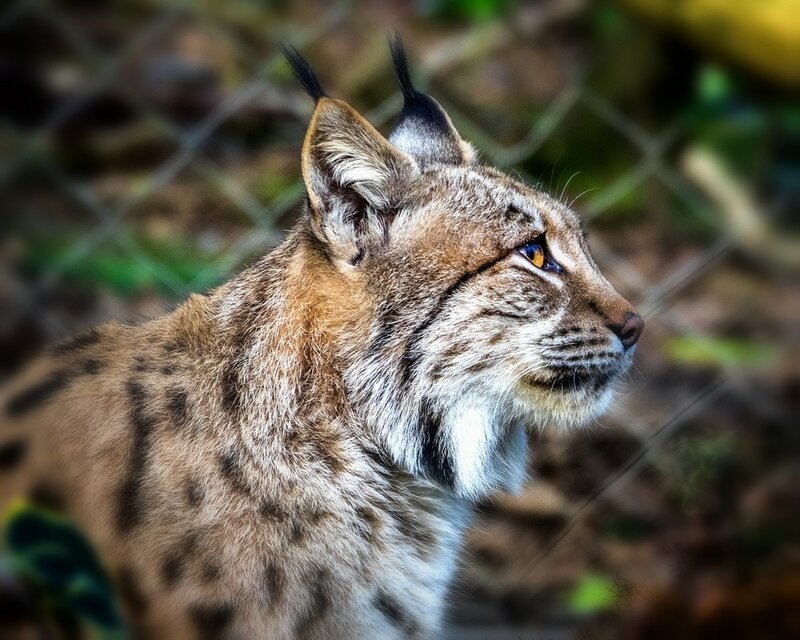 Another one of my favourite animals and becoming increasingly rare. 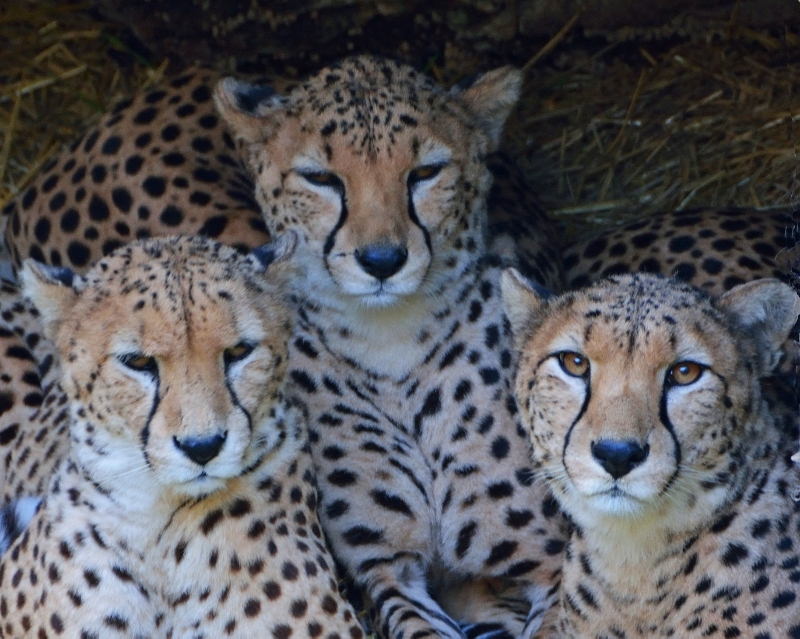 Three young Cheetahs cuddle together at Chester Zoo. 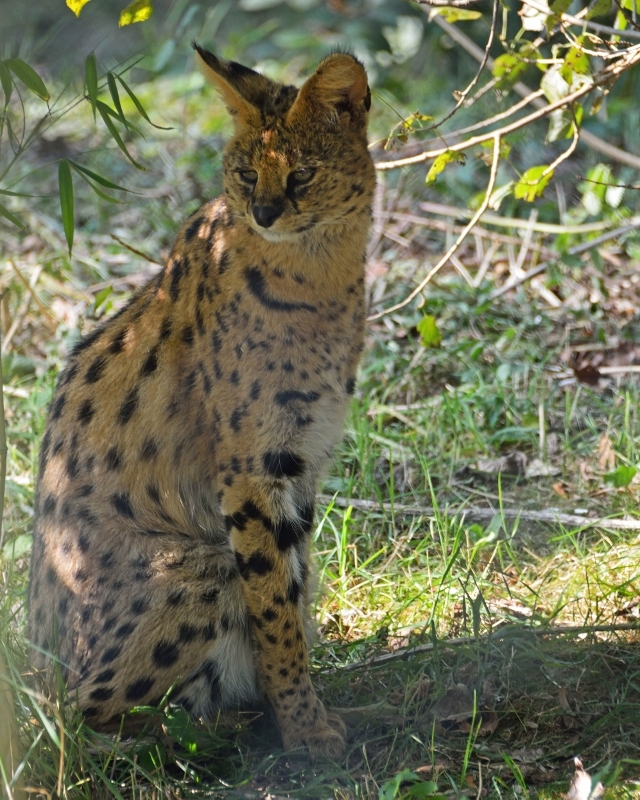 Another beautiful cat, the Serval. 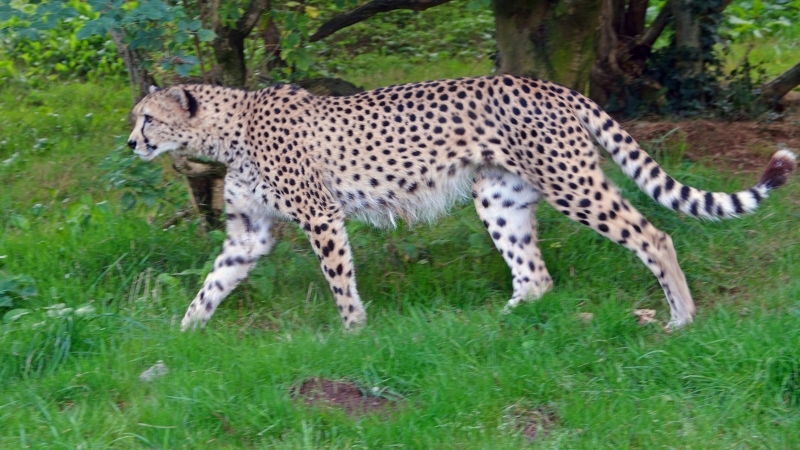 This one was quite elusive and difficult to photograph because of the mesh enclosure at Chester Zoo. 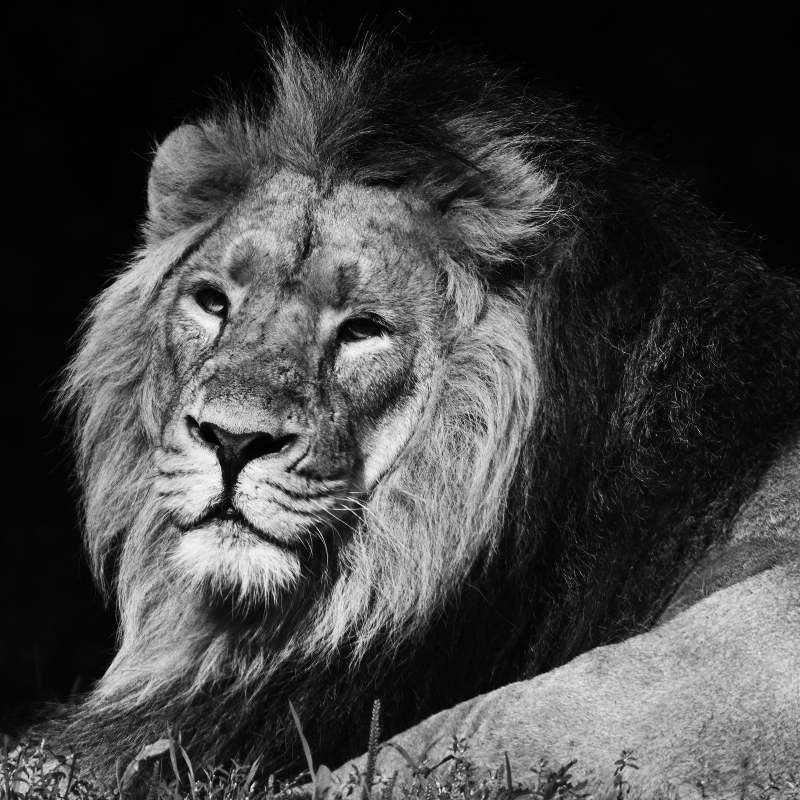 An Asiatic Lion at rest in the sun at Chester Zoo. 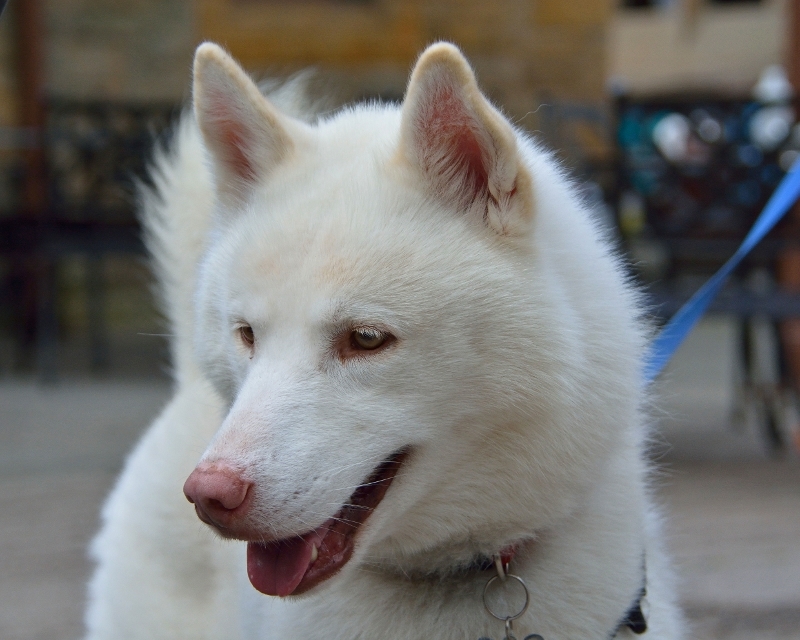 This lovely dog was at Cragside, Northumbria. 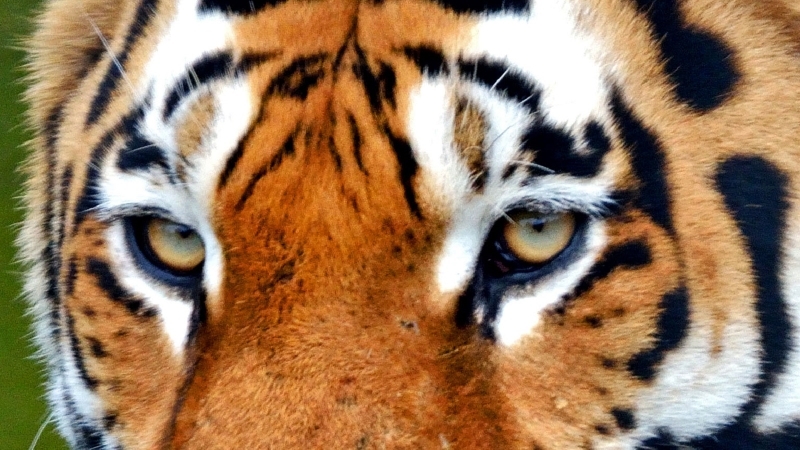 A close up of a tiger at Whipsnade Zoo. 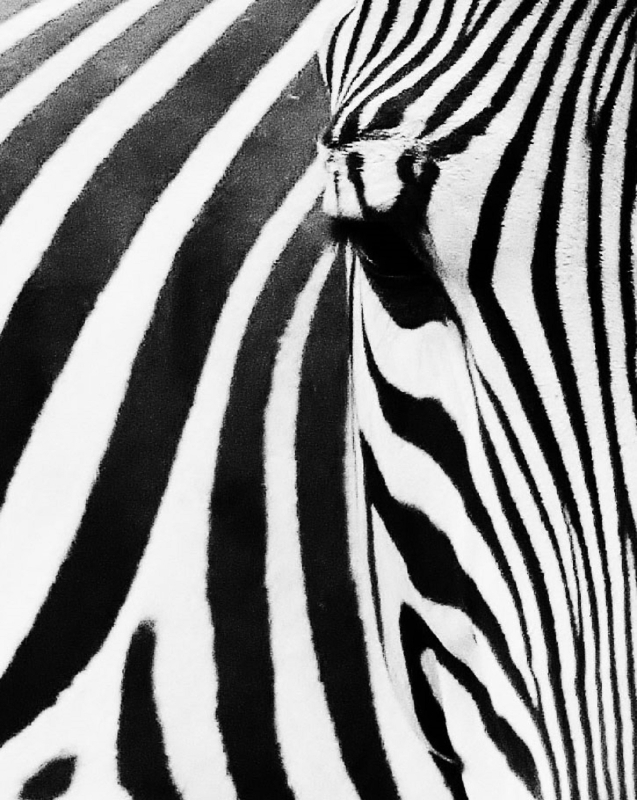 A close view of a zebra brings out an abstract quality. 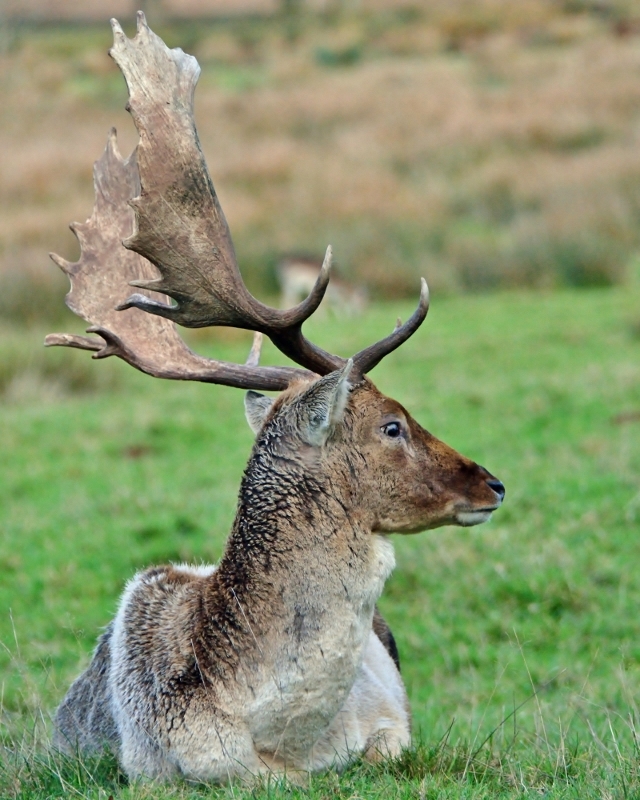 A couple of shots of Fallow Deer stags, taken at Powderham Castle, Devon,UK. 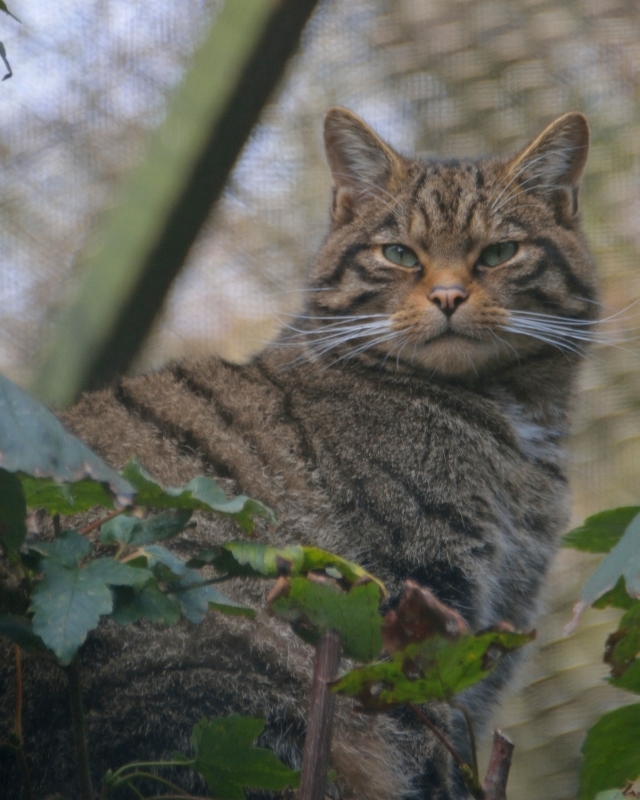 ​The British wildcat is highly endangered. 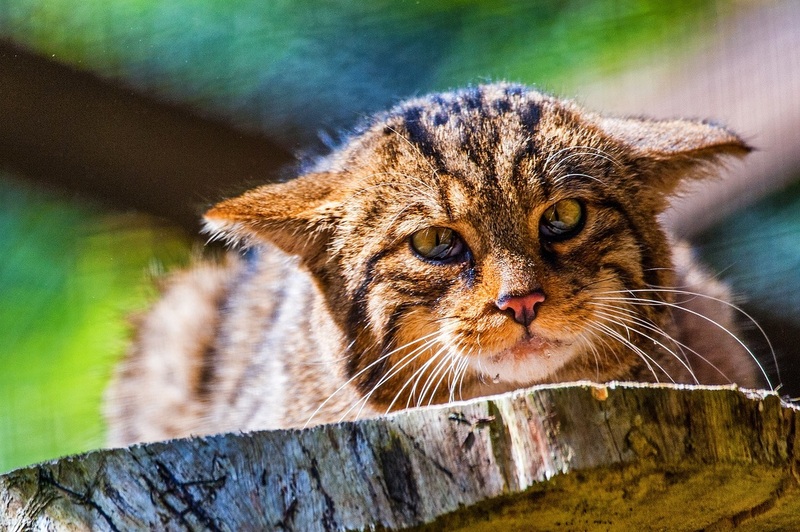 It looks similar to a tabby cat and can interbreed with domestic cats which helps reduce the wild population. 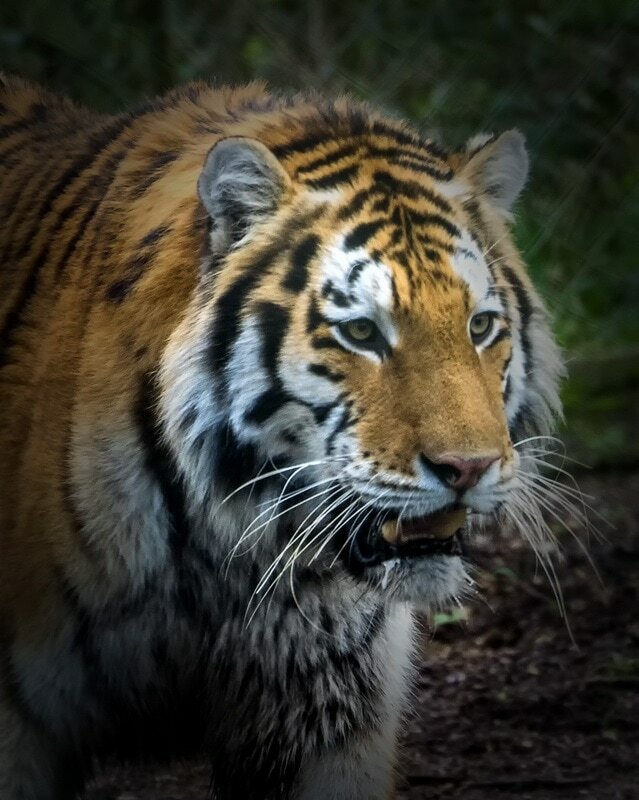 Siberian Tiger, Vlad at Dartmoor Zoo, Devon, UK. 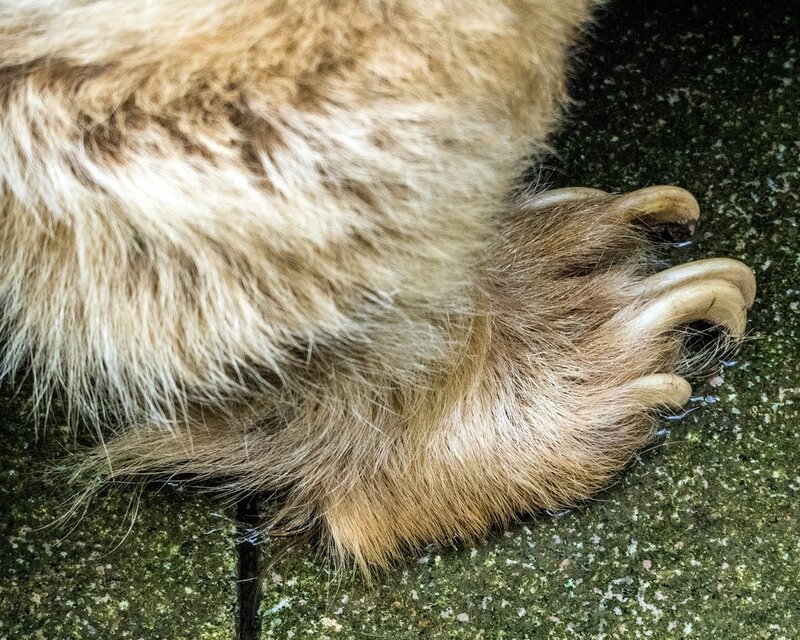 GRAND PAW - a tiger's paw at Dartmoor Zoo. Lions can be tender too ! Sometimes kids just get to you !